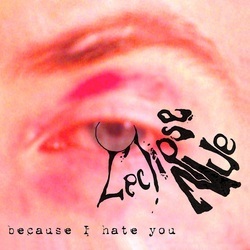 The 2nd full-length album by L'eclipse Nue! This 14 track, factory-pressed CD continues where "Varying Degrees of Discomfort" left off: expanding on, and improving upon, the dystopian worldview of L'eclipse Nue. Tales of regret, the human fall-out after nuclear accidents, discarded infants, suicide-by-train, self-medication, and the real-life horror of living in a state of decay. 12. Are You a Sad Clown?